Legitimate fear of side effects of the drugs (which is believed to be the causative factor in excess of 30 % of morbidity, and mortality in patients, in the most conservative estimate). Lack of known effective therapy in many chronic conditions. These alternative therapies have to be significantly beneficial to the patients, because they will not return to these practitioners repeatedly, if these treatments are ineffective. These alternative therapies have to be significantly beneficial to the patients, because they will not return to these practitioners repeatedly, if these treatments are ineffective. Since antiquity, many different forms of therapy are being practiced here, and all over the world. 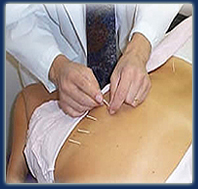 These include Ayurveda, Acupuncture, Chinese herbal medicine, Homeopathy, Healing touch, Native Indian medicine, Naturopathy, Osteopathic and Chiropractic manipulation, Reiki, and many others. Modern Medicine, conducted with the most scientific discipline, has been able to help a large number of patients, especially with acute problems (e.g. infection, heart attack, massive trauma, many surgical procedures, etc. ), but still can not claim a monopoly on curing or relieving people’s maladies. We believe that the time has arrived to integrate the impressive scientific knowledge and experience of modern medicine with the precious wisdom of the ancient healing methods. An ideal modern doctor should have sufficient knowledge and some expertise in the other forms of therapy, so that he/she can guide the patients in the right direction.